Science fiction fans - start your grills! Two new techniques of tissue engineering may lead to affordable production of lab-grown, cultured meat for human consumption. These proposals were published in the June 29th issue of Tissue Engineering, and are the first peer-reviewed discussions for large-scale production of cultured meat. 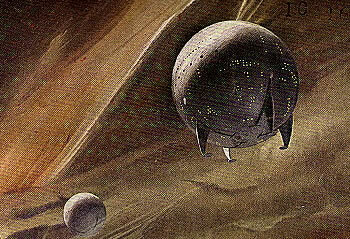 SF authors like Frank Herbert, H. Beam Piper and Larry Niven gave fans a taste of this concept decades ago. Keep in mind that this is not simply reprocessed meat, like beef jerky. This is a system that actually grows meat without a living animal; just add nutrients for the cells and they multiply by the millions. "There would be a lot of benefits from cultured meat," says doctoral student Jason Matheny, who studies agricultural economics and public health. "For one thing, you could control the nutrients. For example, most meats are high in the fatty acid Omega 6, which can cause high cholesterol and other health problems. With in vitro meat, you could replace that with Omega 3, which is a healthy fat." Experiments with fish tissue done in NASA experiments have created small amounts of edible meat. However, the NASA experiments were done on a very small scale and are not suitable for large-scale production. One new technique suggested by the authors is to grow the cells in large flat sheets on thin membranes; suitably stretched sheets of meat would be stacked one on top of another to increase thickness. The second method involves growing muscle cells on small three-dimensional beads that stretch with small changes in temperature. The cells could then be harvested and turned into a processed meat, like nuggets or hamburgers. Fat cells would be added for flavor; the meat would need to be "stretched" or exercised, to give it the familiar texture. Every Viking ship had its own carniculture vats, but men tired of carniculture meat, and fresh meat was always in demand. Larry Niven also wrote a great Draco Tavern story about this same topic; I think it was Assimilating Our Culture, That's What They're Doing!. I don't want to spoil the story - look for it in Niven's Laws or other collections. 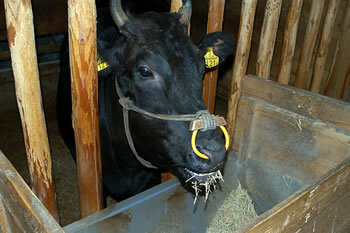 Read more at Paper Says Edible Meat Can Be Grown in a Lab on Industrial Scale. Thanks to Winchell Chung for the tip on this story.